WASHINGTON (CNS) — In Puerto Rico, Texas, Florida, California and Mexico City, recovery was slow and deep pain remained from a string of natural disasters as 2017 ended. Hurricanes, wildfires and earthquakes from August through December caused widespread destruction and claimed hundreds of lives. Rebuilding in the affected areas will take years to complete. Catholic agencies responded with emergency aid and undertook fundraising campaigns to help people of different walks of life who lost homes and livelihoods. Perhaps no other place was harder hit than Puerto Rico, which was slammed in September by Hurricane Maria, the 10th most intense Atlantic storm on record. Electrical power was at 70 percent capacity and many communities continued to have no access to clean water in mid-December. Cardinal Blase J. Cupich of Chicago visited the island in early December at the behest of Pope Francis. He toured the island with representatives of Catholic Extension, the papal society that has supported the church in Puerto Rico for decades. He found once-bustling town centers and business districts shuttered in cities large and small, signaling a massive loss of income and livelihood. Collapsed buildings, flooded homes and roofless structures offered testimony to the severity of the storm. The official death toll in Puerto Rico stands at 64. However, data obtained by the Center for Investigative Reporting shows that at least 985 additional people died in the 40 days after the hurricane, which is a higher death toll than in 2016, a year without such severe storms. Elsewhere, Hurricane Harvey, swamped southern Texas and southwestern Louisiana as it ambled offshore in the Gulf of Mexico for days in late August, dumping more than 50 inches of rain on some communities. Catholic parishes and schools were among entities affected by flooding. The storm was the first major hurricane to make landfall on the U.S. mainland since 2005 and caused nearly $200 billion in damage. Then came the back-to-back storms in the Caribbean: first Hurricane Irma followed by Hurricane Maria. With winds topping 160 miles an hour, both storms devastated entire islands. Irma also caused flooding throughout Florida. Beyond Puerto Rico, the U.S. Virgin Islands, British Virgin Islands, Antigua, Barbuda, Guadeloupe, Martinique, and Turks and Caicos were battered by the storms. About the same time, earthquakes of magnitudes 8.1, 7.1 and 6.1 jolted Mexico Sept. 7, Sept. 19 and Sept. 23, resulting in 474 deaths and more than 6,300 injuries. The temblors were followed in October and December by wildfires in California, driven by hot winds and fueled by hundreds of thousands of acres of dry timber, a consequence of a dry summer. The most recent round of fires near Los Angeles followed by two months more than a dozen wind-whipped blazes in California wine country that destroyed thousands of homes in urban neighborhoods, causing 24 deaths and leaving hundreds of families homeless. 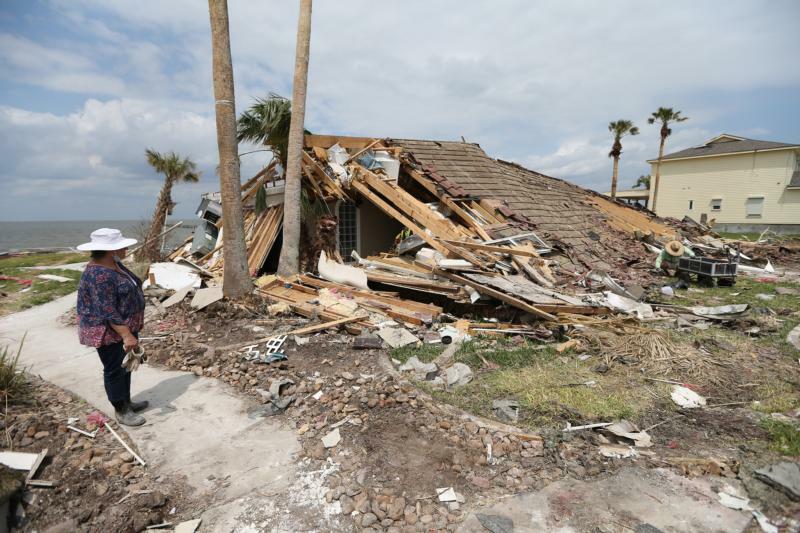 In response to the disasters, the U.S. Conference of Catholic Bishops, Catholic Charities USA, Society of St. Vincent de Paul and Catholic Relief Services mobilized to raise funds to assist with emergency relief and long-term recovery. The USCCB collected $38.5 million for hurricane relief and another $1.3 million for Mexican earthquake relief. Catholic Charities USA raised $24 million for disaster assistance. The Society of St. Vincent de Paul also was on the scene in various locales coordinating its response through parish and diocesan councils. Other donors included Catholic Extension, which provided $400,000 in immediate support to the church in Puerto Rico following the hurricanes, and the Knights of Columbus, which pledged $1.4 million for church repairs in Florida, Texas and the U.S. Virgin Islands. The organization earlier provided $100,000 to the Archdiocese of San Juan, Puerto Rico. Caritas Mexico by the end of October had raised $900,000 for earthquake emergency aid. Catholic Relief Services, the U.S. bishops’ overseas relief and development agency and a partner in the church’s Caritas Internationalis network, was on the ground providing disaster assistance. The U.S. bishops’ Subcommittee on Catholic Home Missions made an emergency grant of $50,000 to the Diocese of Santa Rosa, California, to help with its response to the fires. In addition, the Archdiocese of Los Angeles began collecting funds even as wildfires raged in early December for families, parishes and schools affected by the fires in Los Angeles and Ventura countries. The National Oceanic and Atmospheric Administration said 2017 was the seventh most active hurricane season on record dating to 1851 and the most active season since 2005. Alan Betts, a Vermont-based climate scientist who has studied global weather and climate for more than 40 years, outlined his concerns about future weather patterns during a Nov. 2 Catholic Climate Covenant webinar. Betts long ago concluded that earth is warming and that humans cause it because of their penchant for burning fossil fuels in large quantities. During the webinar and a September presentation at St. Michael’s College in Colchester, Vermont, Betts explained that a warming atmosphere holds more water vapor. More humidity in the atmosphere means a higher potential for downpours. At the same time, the oceans are a storehouse for excessive heat. The Climate Special Report released by 13 federal agencies Nov. 3 found that the oceans have absorbed 93 percent of the excess heat caused by greenhouse gas warming since the mid-20th century, leading to altered global and regional climate. The warmer the oceans, the more intense the hurricanes, Betts said. The Catholic Climate Covenant and the Global Catholic Climate Covenant continued efforts throughout the year to call on people to advocate for action to cut carbon emissions, a leading cause of climate change. In other climate-related actions, hundreds of Catholics from across the country joined the two organizations during the April 29 People’s Climate March in Washington. In sweltering heat — the temperature reached 91 degrees at nearby National Airport, tying a record set in 1974 for the date — an estimated 200,000 people walked from the Capitol to the Washington Monument to protest President Donald Trump’s environmental agenda. The Trump administration has begun the process of dismantling environmental regulations and rolling back the Clean Power Plan regulating carbon emissions from coal-fired power plants in the name of creating jobs and boosting the U.S. economy. Trump also followed through on a campaign pledge to begin the process of withdrawing the U.S. from the Paris climate accord. The U.S. bishops issued several statements throughout the year calling on the president to remain in the accord and keep the Clean Power Plan in place.